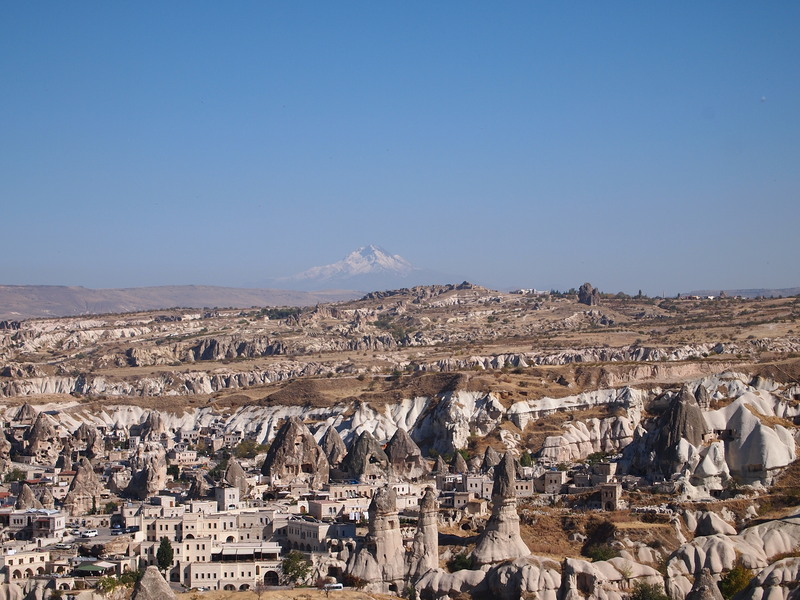 Arriving in Cappadocia and Goreme National park it quickly became clear that I was somewhere special. 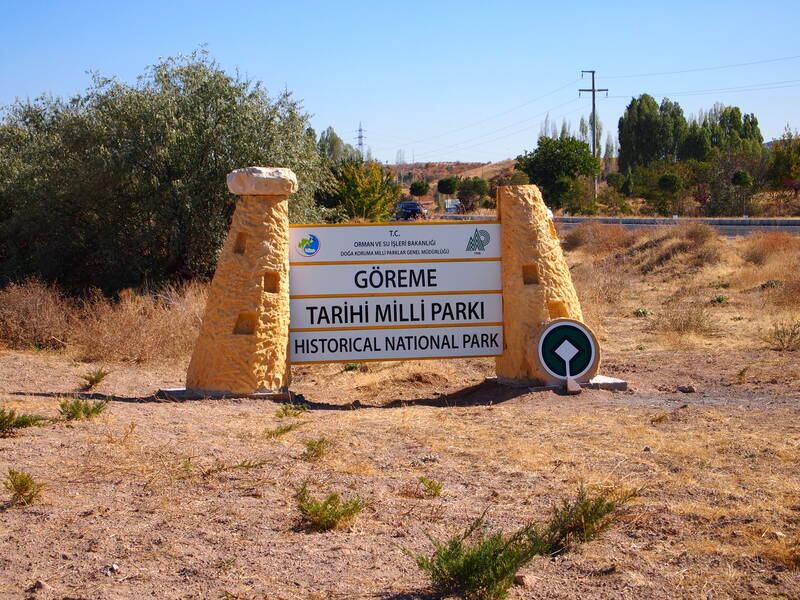 The landscape is like nothing else I’ve seen, born from ancient volcanic activity there are rock formations that seem impossible and in the distance the massive volcanic mountain of Erciyes. 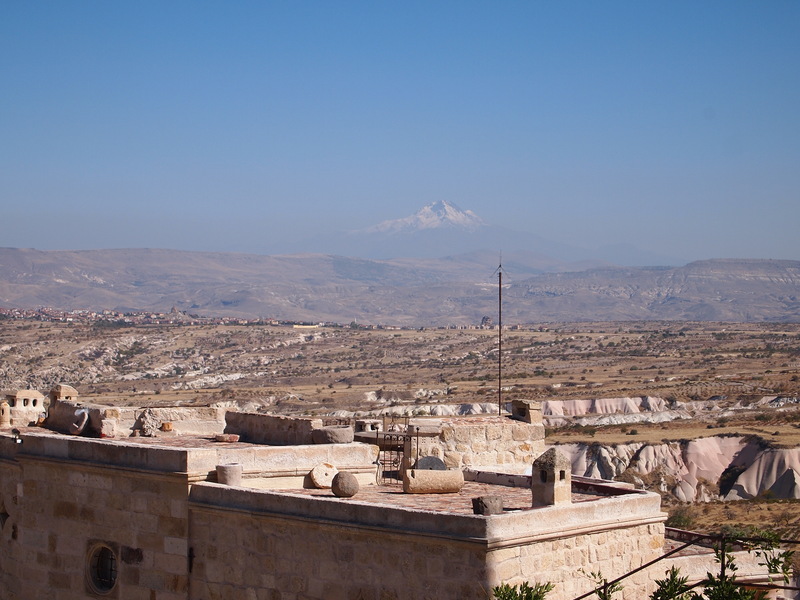 Erciyes is one of the most amazing mountains I’ve seen and I would get closer to it once I left Goreme. It rears up out of the landscape independently of any chain much like Fuji in Japan. 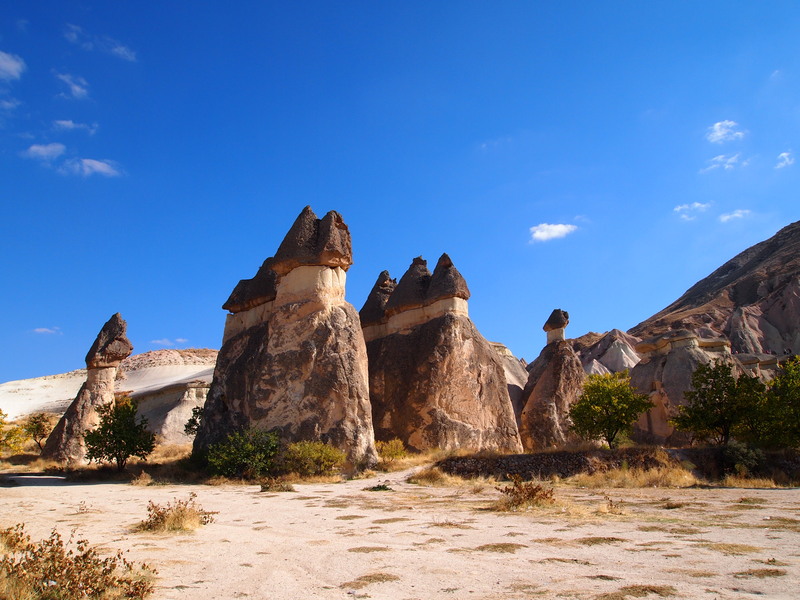 Before I would leave in the direction of this mountain I had some more time in Goreme, which is a beautiful place. 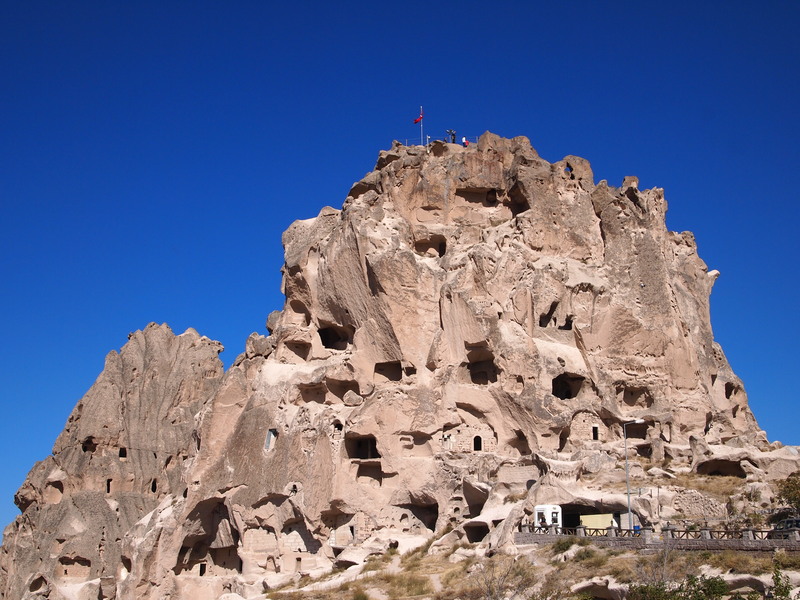 Many of the houses in Goreme are actually built into the stones themselves. 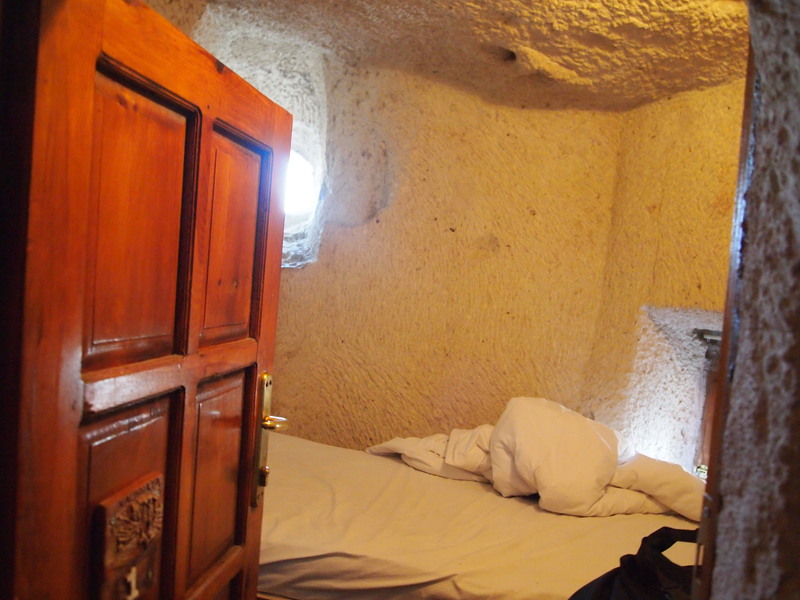 This was the case of my hostel, which was built into one of the rocks formed by the volcanic activity. This was interesting but meant I had a very small albeit cosy room. 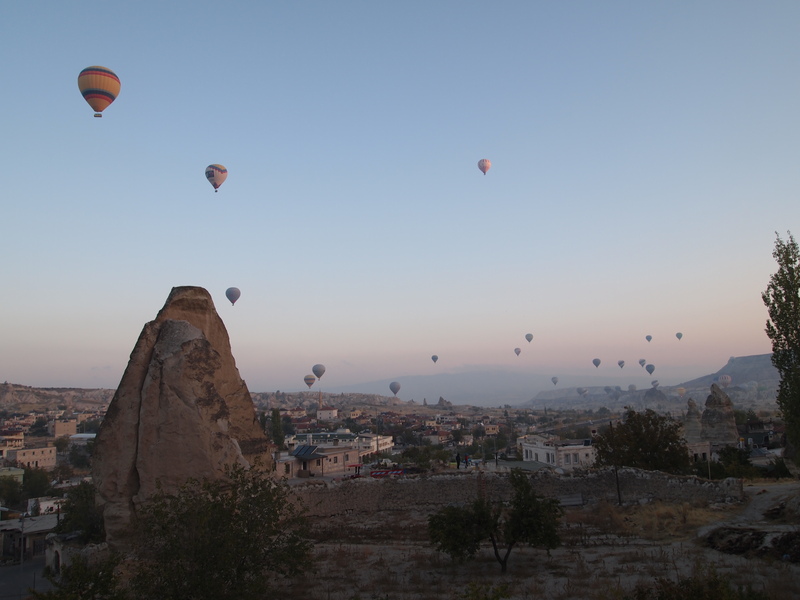 One of the things to do in Cappadocia is to take a balloon ride around the valleys in the morning. I didn’t do this as they charge over EUR 100 for the privelege apparently. Still the spectacle of the balloons from the ground in the morning is amazing. 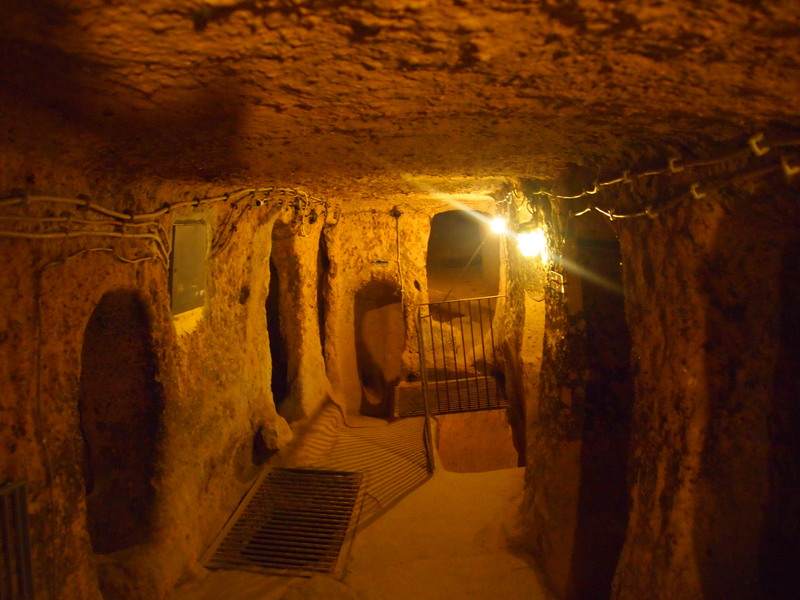 Cappadocia is also famous for its underground cities. I cycled out to the one at Kaymakli, which is the second oldest and apparently the widest of them. 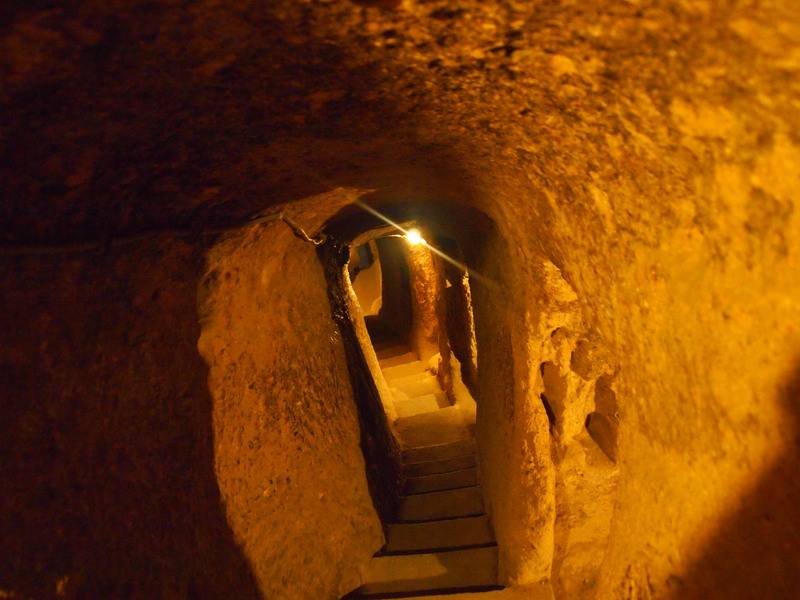 The cities were apparently built as places of shelter and they are basically a series of rooms connected by sometimes quite narrow winding tunnels…definitely not for the claustrophobic!